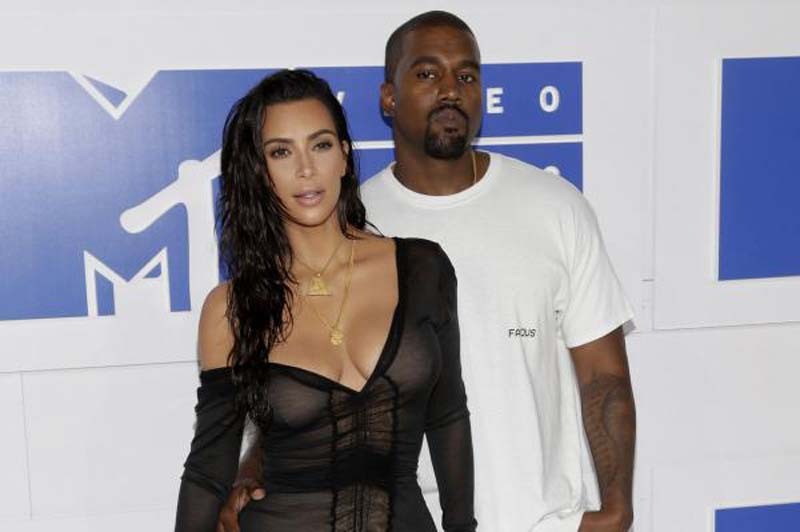 Kanye West was feeling grateful for Kim Kardashian on their fourth wedding anniversary. The 40-year-old rapper and designer celebrated the occasion Thursday by penning a sweet tweet to the 37-year-old television personality. "gratitude and happiness best describe what my wife means to me," West told his 28.3 million Twitter followers. "I'm deeply grateful and purely happy," he said, adding a smiley face emoji. West followed up with a video of Kardashian taken during Halloween last year. The clip shows the reality star dancing to Selena's song "Bidi Bidi Bom Bom" while dressed as the late Tejano singer. "This is one of my favorite moments," West said. Kardashian celebrated by sharing a never-before-seen wedding photo on her own account. She also went blonde again for her date night with West. "I am back blonde. Kanye's favorite is blonde, so I did it for our anniversary," the star explained in a video on Instagram Stories. West and Kardashian share three children, 4-year-old daughter North, 2-year-old son Saint and 4-month-old daughter Chicago. Kardashian shared a cute picture Tuesday of Saint hugging baby Chicago.